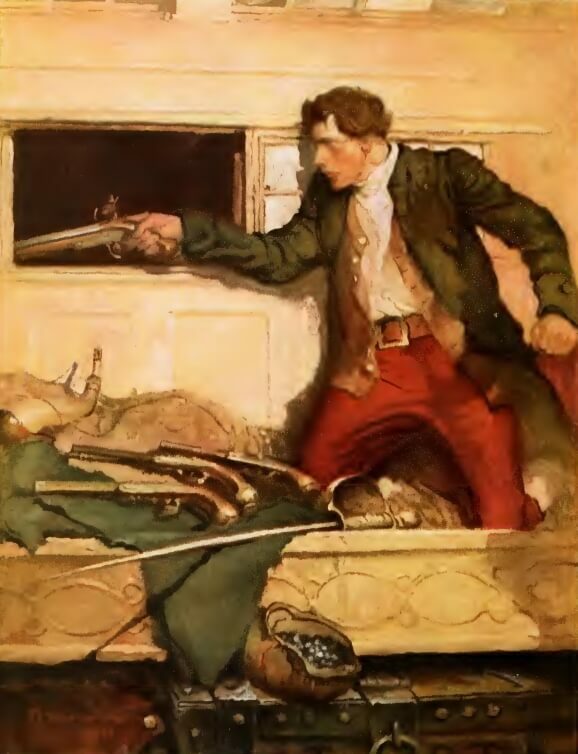 Stevenson's Kidnapped was published as a boys' adventure novel in 1886. 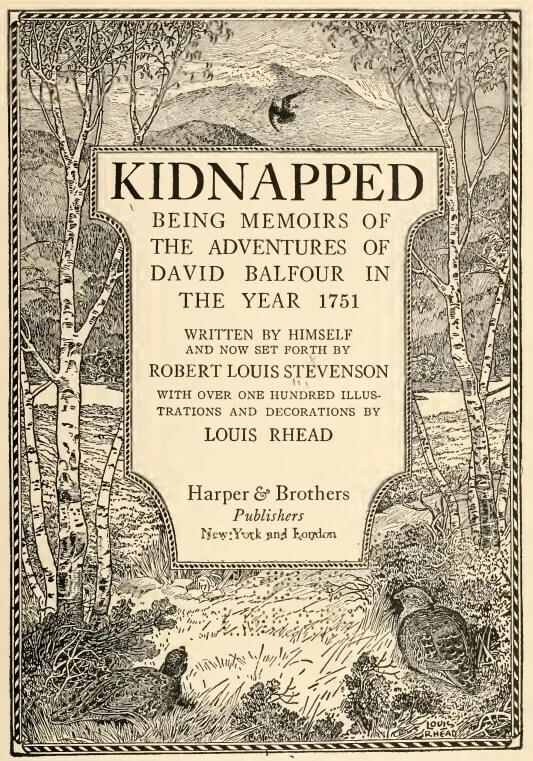 David Balfour is a 17 year old whose evil uncle has him kidnapped to steal his inheritance. David manages to escapes, but falls in dangerous company in the Scottish Highlands. It seems fitting that Stevenson's novel was Winston Churchill's favorite, which he read while in hiding as an escaped prisoner in Africa (with which he also enjoyed cigars and whiskey) while serving as a young war correspondent. When the coast was clear, Churchill was transported safely back to England to assume a life of politics. Return to the Robert Louis Stevenson library.